Gatefolded LP. 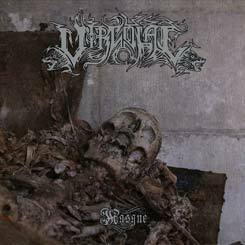 This is just powerful, Terrorizer-ing, viciously thrashing metal rage of death from Bangladesh. Intense! Recommended. Includes a Merciless cover. These three possessed souls will lead you on the heretical left-handed Tantric path of Self-becoming and Qliphoth Gnosis. A barbaric first album titled "Kapalgnosis", meant to remain a reference in the Asian Metal history.